IBM is betting big on blockchain secure-records technology taking off beyond its traditional use in bitcoin and other financial transactions. The company is now offering a cloud-based service to allow developers to set up blockchain networks and test and deploy related apps. IBM announced a flurry of blockchain-related initiatives Tuesday, including developer services hosted on its Bluemix cloud. Developers can access DevOps tools to create, deploy and monitor blockchain applications on the IBM cloud, the company said. 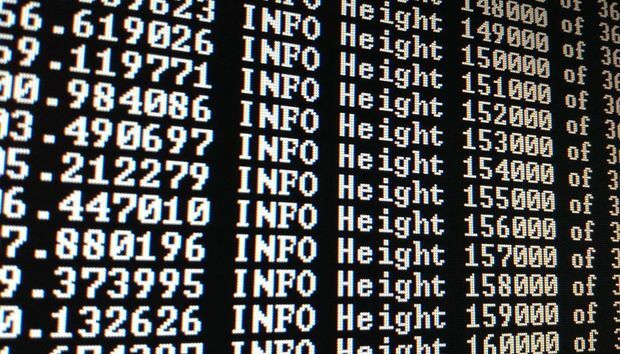 Blockchains, such as the public ledger of bitcoin transactions, are distributed records of events, each block in the record containing a computational "hash" of itself and of the previous block, like links in a chain. Blockchains make it difficult to modify or fake past transactions because such a change would require the modifications to be made on all subsequent blocks. Using a cloud service like IBM's, "in 12 seconds, a developer could have their own mini blockchain sandbox running," said Jerry Cuomo, vice president of blockchain technologies for the company. "A minute or so after that, they can have their first blockchain sample application up and running." IBM's Bluemix cloud service also offers integration with other technologies that developers "can start mashing up" into their blockchain apps, he said. "You can build mobile front ends, you can build APIs to the blockchain." IBM predicts companies will begin using blockchain technology in several new ways, driving up the demand for easy ways to test and deploy related apps, Cuomo said. For example, blockchain technologies, paired with the Internet of things, could give shipping companies new information about products on the move, Cuomo said. In addition to tracking a package, a blockchain ledger could track the condition of the contents and establish when they were damaged, he said. A shipping company could track a refrigerated container using blockchain and RFID sensors to find "where it is, whether the contents have been tampered with, and what the temperature is," Cuomo said. IBM's Watson Internet of Things platform will allow RFID sensors, barcode scanners and other devices to be used with its blockchain technology, the company said Tuesday. Another potential use for blockchain is in the car insurance industry as more self-driving and self-parking vehicles take to the roads, Cuomo said. A blockchain ledger could help the insurance company establish whether the driver or the automation was in control during an accident. The blockchain would be "a shared single source of truth" that the insurance vendor could use to establish fault, he said. In addition to its cloud and IoT announcements, IBM will also open offices -- the company calls them "garages" -- in London, New York, Singapore and Tokyo, where developers can work with IBM blockchain experts on business applications. Will life begin again at 40-plus for software veteran CA?